Having established themselves within the global DJ circuit, label founder, producer and DJ Oliver Koletzki and his protégé Niko Schwind now team up for a floor-focussed live-project: Koletzki & Schwind. 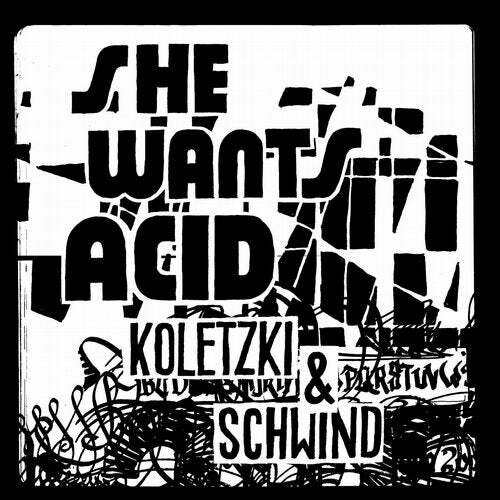 To be released on Koletzkis own Stil vor Talent, She Wants Acid, their maiden collaboration, takes no prisoners. The title-track is crafted around a booming groove, Witch Doctor-style stabs, and a vocal loop, until the duo plunge into a deranged acid break-down accentuated by ominous UFO synths. On Fake-Return, Koletzki & Schwind appropriate elements of trance, twisting them into a synth-led monster with growling sub bass. Lastly, jacking garage percussion and an old-school bass-lead drive Sydney, K&Ss homage to the golden age. Having delved in to hip-hop, downbeat, or electro-pop with past solo productions, She Wants Acid exemplifies one thing: Koletzki & Schwind are ready to party.